I currently am handling an adrenal condition and this product is helping tremendously. I feel like it is really helping my body to heal itself and helping it to be able to create the energy it needs to be creating! Diagnosed with Adrenal Fatigue in 2011 but was not treated, about six months ago I took the adrenal stress test and lab results showed stressed adrenals; symptoms were very low energy, moody, hair falling, belly weight gain amongst other symptoms. 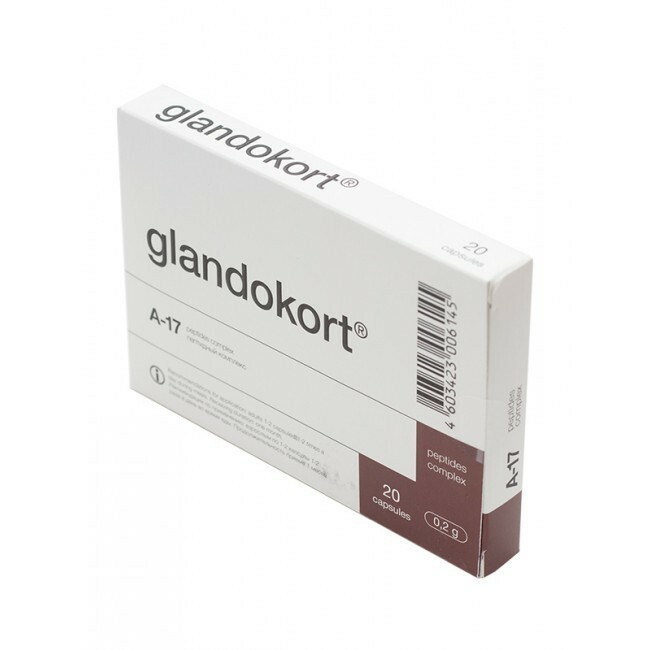 My Naturopath doctor suggested Glandokort, his price was very expensive for 10 tablets, I found NHC on the internet, prices are affordable especially if you are taking for a month twice a day, which is what I did. So far no hair falling, belly going down, better mood, energy coming back so that I can start walking again. I have had an ongoing problem with my adrenal glands for quite a few years. I recently purchased 3 boxes of Glandokort and have been taking it 2X a day for almost 3 weeks. The change has been dramatic! I am no longer exhausted in the afternoon; I sleep better at night, need fewer hours of sleep and wake easily in the morning. My skin is smoother and less dry, I have lost the dark circles under my eyes, and my hair has gotten very shiny. Overall I feel so much better! This product works!! !